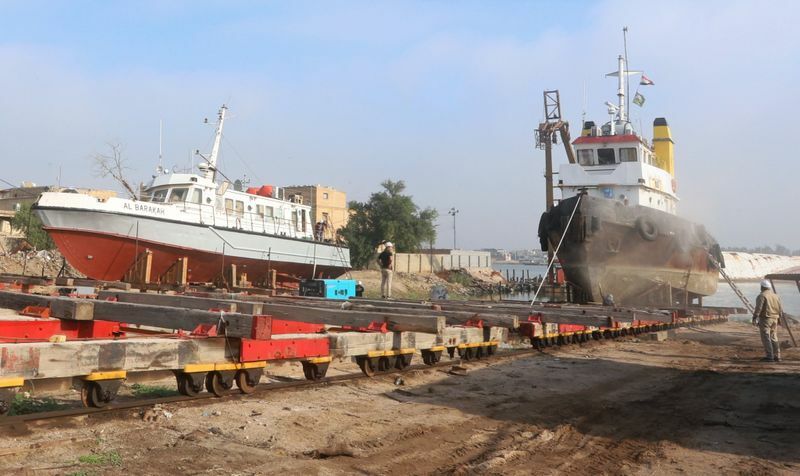 Basra: Begun in 1918 by British troops, Basra’s shipyard is surviving into old age with little maintenance, relying on its vintage machinery and the skill of its workers to keep going. 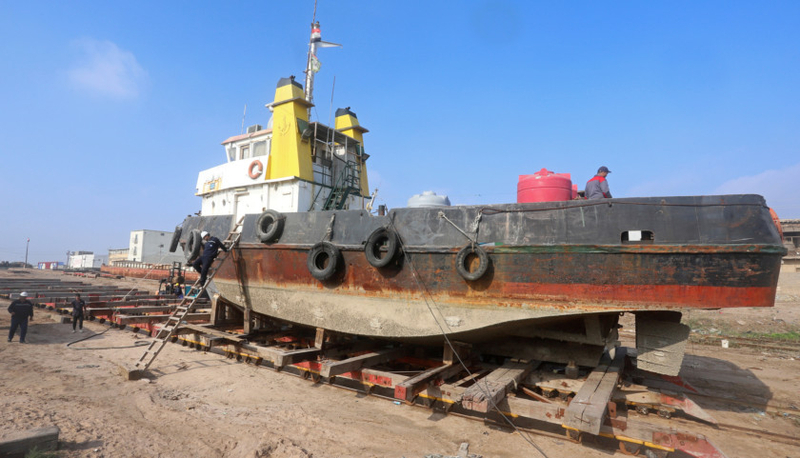 Thousands of ships, including former dictator Saddam Hussain’s yacht, have passed through the Iraqi shipyard’s three docks — where a giant steam engine hauls them out of the water and up the century-old wooden tracks. There are no spare parts and no written manuals. Mohammad Adnan, who has been operating the huge steam engine for six years now, says it is not easy. It requires expertise and intuition to maintain the right pressure in the boilers, and to prevent the engine from overheating. The only instructions in the boiler room are those inscribed on a steel plaque: “Flag Signals: Yellow heave, blue lower, red stop.” Workers say the wooden tracks seem to grow stronger each year. “They say they [the British] brought in the wood from Burma... we tried to drill a 1.5 inch nail into it once, we couldn’t,” said Jassim Hussain Sabour, the shipyard’s longest-serving worker. Fishing and oil smuggling during the 1990s when Iraq was under sanctions kept all three docks busy with ships coming in for repairs. In its heyday the shipyard handled nine ships every month. In 2018, it repaired eight boats in total, most owned by the state-run ports and waterways authority. The shipyard was built by the British after their campaign to capture Baghdad from the Ottoman Turks during the First World War. It suffered some damage during the 1980-1988 Iran Iraq war, and looting in 2003, but survived the Gulf Wars largely unscathed.